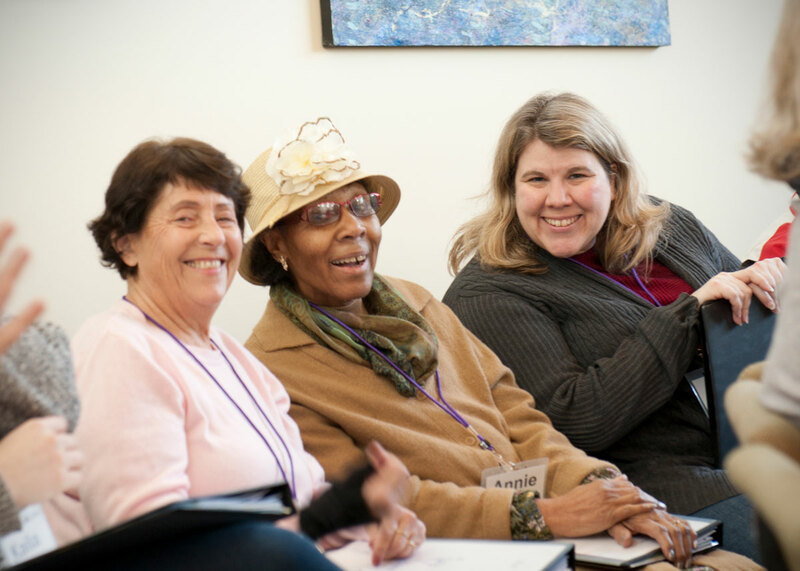 Victory Chorus participants come together to practice singing on Sunday afternoons with the purpose of creating joy in music. Safety and support for the participants who have dementia is of utmost importance. Because of that the Victory Chorus is all about creating a sense of family, and so within the chorus family is a smaller unit called the “mini squad”. Each mini squad is comprised of a participant and someone sitting on either side of them. The people sitting on each side of the participant are volunteer singers who might be the person’s caregiver, a friend, or perhaps even a complete stranger, so every squad is unique. Their role is to provide shared support and offer help as needed.